0%ŏ ! *0!.ŏ 3%((ŏ open on Memorial Day weekend. The facility will be open from 11am-7pm Saturday, May 25 through Monday, May 27 of Memorial Day weekend and will be open seven days a week beginning Saturday, June 1. The aquatic center offers a great place to cool off and swim your way to a fun and memorable summer. Day camp season begins on June 11 and our energetic staff %/ŏ.! #!/ŏăġĊ0$ŏ grade, so make sure to check out our summer day camp guide or visit us online at www.recreation.lwd.org/camp to view a listing of all camp options. Summer camps are the perfect opportunity for kids to enjoy time outdoors, make new friends and learn new skills. Remember to mark your calendar for some incredible concerts on Thursday evenings in June and July at the Summer Concert Series in Proesel Park. Bring your lawn chairs, blankets and picnic baskets and enjoy an evening of entertainment with family and friends. !ŏ . !ŏ (/+ŏ !4%0! ŏ 0+ŏ %*0.+ 1!ŏ *!3ŏ /1))!.ŏ 0%2%0%!/ŏ in 2019. At the aquatic center our new Lincolnwood Swim Academy will teach students skills that are fundamental to developing a lifelong love of swimming. The Swim Academy team is committed to teaching this important skill in an enjoyable environment, with safety and positive reinforcement at the core of the program. Additionally, our new aqua ﬁtness classes including Intro to Stand Up Paddle Boarding, Pool Side Yoga and an Aqua HIIT are sure to break up your week and help to keep you active and healthy all summer long. HOW TO GET INVOLVED VOLUNTEER Serve our community with your time and talents! The Lincolnwood Parks and Recreation Department relies on many different kinds of volunteers throughout the year to make its programs and special events successful. JOIN OUR TEAM Share your skills and talents with our community as part of the Lincolnwood Parks and Recreation team! Several part-time positions are available both yearround and on a seasonal basis. Interested in joining us as a camp or aquatic center team member this summer? Now is the time to apply! Learn more about the available positions and ﬁll out an online application at Lincolnwoodil.org/employment. KEEP AN EYE ON OUR PARKS Community member involvement in ensuring the beauty and safety of our parks is an essential part of our neighborhood park support system. Please contact the Parks and Recreation Department if you ﬁnd any broken equipment, vadalism, or other safety concerns while visiting your neighborhood park. The Department appreciates your support in our efforts to provide safe, quality, and enjoyable parks and trails in our community! 5#.+1* ŏ!-1%,)! *0ŏ at Proesel Park. The playground is currently being renovated and we are thrilled to present a brand new playground to the community. Your Parks and Recreation Department wishes you a happy, safe and memorable summer season. As always we welcome your comments and suggestions to further enhance our services. Please feel free to stop by the Parks and Recreation office or give us a call at 847.677.9740. See you in the parks! RESIDENT PASS SALES ARE OPEN! 2!Ĺ? !4(1/%2!Ĺ? access to additional time in the pool. )Ĺ? *Guests of pass holders are not permitted during the Pass Holder hours. Splish, Splash, and Swim your way to a fun and memorable summer! 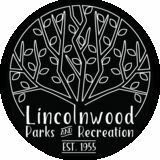 LINCOLNWOOD RESIDENTS: Lincolnwood residents can purchase passes at the Parks and Recreation Department in Village Hall at any time. 2018 pass holders can also renew identical passes online at www.recreation.lwd.org. Please Note: Refunds will not be granted after the pool opens on June 1, 2019. //!/ŏ will be available for purchase in the Parks and Recreation office in Village Hall. đŏ Detailed instructions for online registration will be available on April 1 at www.recreation.lwd.org. It is extremely important to review the instructions and have all information ready prior to the time of registration. đŏ Please Note: Refunds will not be granted after the pool opens on June 1, 2019. INDIVIDUAL PASSES +1ŏ )1/0ŏ !ŏ āăŏ 5! FAMILY PASSES A family is deﬁned as parents/guardians and any unmarried children age 2 through 24 living at the same address. Children 25 and over living at home, and other relatives and individuals in the same household, are not included in the family pass. A parent or legal guardian must purchase the family pass, and must provide birth certiﬁcates for each child. There is no charge for children under the age of two by June 1, 2019. AQUATIC CENTER ID CARDS All aquatic center pass holders are issued an Aquatic Center ID Card. All pass holders must show this pass to enter the facility; receipts are not accepted. đŏ 2018 Pass holders: ID cards are reactivated upon purchase; a new photo is not necessary. đŏ New Members: All new pass holders must visit the Parks and Recreation Department or have their photo taken at the front desk at the Aquatic Center when available. Visit www. recreation.lwd.org for a list of hours and days available. đŏ Please Note: There is a $10 fee to replace a lost pass. Please visit the Parks and Recreation Department with proof of identiﬁcation to receive a replacement. Passes are nontransferable. Sharing ID cards will result in loss of pass without a refund. NANNY PASSES Households can add one nanny pass to their household for the season. Nanny passes are billed at the individual pass rate based on the nanny’s residency status. RESIDENT PASSES RESIDENT PASSES ON SALE NOW! Employees of businesses within the Village of Lincolnwood are eligible for a local business season pass. Please call to learn more about the pass rates and how to register! DETERMINING RESIDENCY If your primary residence is in the Village of Lincolnwood, you will receive the resident rate. We require proof of residency when you register, which involves one of the following documents: driver’s license, state ID, mortgage, title or lease agreement. If sharing a lease agreement, a second form of ID with the Lincolnwood address is required. !ŏ available for purchase at the Parks and Recreation office in Village Hall. DAILY ADMISSION REMINDERS: đŏ Non resident guests must be accompanied by a Lincolnwood resident or member pass holder to purchase daily admission. đŏ Children under the age of two are admitted free with an adult. //ŏ"+.ŏĸăĀĀċŏ Limit one pass per family, must maintain four week minimum. Contact the Parks and Recreation Department for additional details. 1. Add your name to the roster at the Aquatic Ĺ?Ĺ?Ĺ?! *0!.Ĺ?.+*0Ĺ?!/' 2. Participate in Lap Swim at your leisure throughout the summer Ä&#x192;Ä&#x2039;Ĺ?$!*Ĺ?(! Swimming is an important life and safety skill. The Lincolnwood Swim Academy team is committed to teaching this important skill in an enjoyable environment, with safety and positive reinforcement at the core of our program. Our program is rooted in American Red Cross swimming philosophies. Each student’s skills are assessed at the beginning of the session, and children are placed in a level with success and quick progression in mind. During class, students build upon skills that are fundamental to developing a lifelong love of swimming. Upon completion of each session, students are evaluated and receive an achievement card showing their progress. 01.!/č NEW AND IMPROVED LEVEL STRUCTURE! PRE-LESSON ASSESSMENT Swimmers are encouraged to participate in Pre-Lesson Assessments to ensure each swimmer starts at a level that best fits their skills. đŏ Weekend Assessments – Join us for a quick swim assessment and level placement. Staff will be on site to register your swimmer on assessment day. đŏ Individual Assessments – If the assessment days do not fit in your schedule, our staff will meet with you and your swimmer individually. Contact us for information and scheduling at swimlessons@lwd.org. PRIVATE SWIM LESSONS Ages: All Private lessons provide individualized attention from an !4,!.%!*! Ĺ?/3%)Ĺ?%*/0.10+.Ä&#x2039;Ĺ?$%/Ĺ?%/Ĺ? //Ĺ?+( !.Ä?Ĺ?Ä¸Ä&#x2026;Ä&#x201A;Ĺ? PLEASE NOTE: Due to high demand, a waitlist will be started when all time slots have been filled. You will be contacted should an instructor become available. PARENT AND TOT WATER EXPLORATION Ages: Ä&#x2021;Ĺ?)+*0$/ÄĄÄ&#x192;Ĺ?5! Children who are not potty trained must wear a swim diaper to enter the pool. /%/Ĺ?+"Ĺ?#!00%*#Ĺ?+*ÄĽ off the board, how to sit, kneel, and stand up, hold the paddle and basic strokes. Equipment is provided. This class will set you up to tackle the waves on Lake Michigan or at your local lake all from the comfort of the pool. Location: Proesel Park Aquatic Center Day ! Ĺ? *!Ĺ? 5+1.Ĺ? !*&+5)!*0Ĺ? but all levels are welcome. Bring a playful attitude a mat or beach towel and see what unfolds for you. Location: Proesel Park Aquatic Center Day ! Ĺ? INTRO TO SUP FITNESS Ages: 16 years+ 4,(+.!Ĺ?0+*%*#Ĺ?5+1.Ĺ? 0!.Ä&#x201C;Ĺ? 4,! 0Ĺ?)%*%Ĺ?. %+Ĺ? * Ĺ? a discount on pre-ordered meals from the concession stand. Season passes may not be used for party admissions. )%(5Ĺ?.!1*%+*Ä&#x152;Ĺ? graduation, birthday, or just for fun, come celebrate at +1.Ĺ?" (!Ĺ?+*Ĺ?1* 5Ĺ? evenings, after the pool closes at 7pm. Rentals may last 1.5 to 2.5 hours, and can host up to 1200 guests. GENERAL INFORMATION The Lincolnwood Lightning Swim Club (LLSC) is open to swimmers ages five and older. The majority of the team is between the ages of five and 18. The program combines !4!((!*0Ĺ?0. *#!/Ĺ?3$%(!Ĺ?%*0.+ 1%*#Ĺ?/+)!Ĺ?+"Ĺ?0$!Ĺ?+( !.Ĺ? age group swimmers to conditioning training. New Swimmer Program #: 206610.A Returning Swim Team Member Program #: 206610.B Fees: Resident: Non-Resident:Ĺ?Ĺ? Each Addâ&#x20AC;&#x2122;l Child $205 Ä¸Ä&#x201A;Ä&#x2021;Ä&#x2020;Ĺ? Ĺ? )Ä&#x2039;Ĺ? Ä&#x2018;Ĺ?!3Ĺ?/3%))!./Ĺ?)1/0Ĺ?.!#%/0!.Ĺ? "+.Ĺ?0$!Ĺ?0.+'!Ĺ?(%*%Ä&#x2039; ! !/Ĺ?%*(1 !Ĺ?0! 0%+*Ĺ? to selected meets, participation in dual meets and awards for meets. SWIM TEAM PRACTICE: Ä&#x2018;Ĺ? 3%))!./Ĺ? ((Ĺ? practices. Ä&#x2018;Ĺ? Practice information and guidelines will be provided at the parent meeting. Ä&#x2018;Ĺ? ((Ĺ?/3%))!./Ĺ? AFTERNOON PRACTICE !#%*/Ĺ? 1*!Ĺ?Ä&#x192;Ĺ? +* 5ÄĄ.% 5Ĺ?Ä&#x2020;ÄĄÄ&#x2021;Ä?Ä&#x192;Ä&#x20AC;,)Ĺ? Ĺ?)! !0/Ä&#x2039; The schedule will be provided at the parent meeting. STROKE CLINIC What is stroke clinic? Our Clinic is designed to accommodate swimmers who have basic ability to freestyle and backstroke. Stroke clinic provides two weeks of focused practice, every two days is a different stroke. This is done to give each swimmer the opportunity to improve their skills and technique with the goal of swimming more efficiently. ./Ĺ?3%0$Ĺ? different levels of accomplishment. Clinic is designed for both returning Lincolnwood Lightning swimmers looking to get back into summer swim season as well as new swimmers interested in moving from swim lessons to a swim team. How do I know if my swimmer is ready for swim team? All new swimmers will be assessed during the two weeks of Stroke Clinic. Your swimmer will receive feedback from their coaches throughout the two weeks My child is new to swimming where will he/she start? Regardless of age all new swimmers will start in the white group. Swimmers progress at their own pace. Coaches may adjust swimmers to other lanes during these two weeks depending on the skills the coach feels an individual swimmers needs to improve. .0%!/Ä&#x152;Ĺ? birthdays, showers, and any other type of social gathering. The Community Center features two indoor spaces. Choose from our large room, which provides a light, airy space that can accommodate up to 200 guests; or our small room, which provides a warm, intimate setting for up to 40. Both rooms "! The rates are for rentals scheduled during general hours of operation, which includes Saturday between 8am and 11:30pm, Sundays between 11am and 11pm, and weekdays between 5pm and 11pm. During holidays, rental fees increase and rental hours are subject to change. Call for discounted weekday rates available Monday-Thursday, 9am-5pm. Ä&#x2018;Ĺ? +Ăť!!Ĺ? '!. For more information or to check availability, call (847) 677-9740. )Ĺ? +*Ĺ? .% 5Ä&#x152;Ĺ? . $Ĺ? Ä Ä&#x2039;Ĺ? ,,(%0%+*/Ĺ? .!Ĺ? processed on a first come-first served basis. Non-resident permits are available beginning April 1, 2019. (!Ĺ? "+.Ĺ? 0$!Ĺ? 0$.!!Ĺ? /! ((Ĺ? "%! ( /Ä&#x152;Ĺ? one softball field, and three soccer areas in Proesel Park. Permits are available beginning March 1, 2019 for new rental groups. BASEBALL/SOFTBALL FIELDS Available April-October Hourly rates without lights: R$40 per hour / NR$75 per hour Hourly rates with lights: R$60 per hour / NR$100 per hour $250 Security deposit SOCCER FIELDS Available Year-Round Hourly rates without lights: R$15 per hour / NR$20 per hour +1.(5Ĺ?. The Lincolnwood Tennis Club is open to residents age 18 and over. Members have the opportunity to reserve court 0%)!Ĺ? RESERVING TENNIS COURTS 1) Village sponsored events, lessons, rentals, and Lincolnwood Tennis Club reservations have first priority Ä¨/!!Ĺ? /$! 1(!Ĺ? ,+/0! Ĺ? %*Ĺ? 0!**%/Ĺ? +4Ĺ? +*Ĺ? "! *!Ĺ? *! is out of this world! June–August 2019 | 7am-6pm Registration open now! #!/čŏăġāĆŏ5! Ĺ? %Ăť!.!*0Ĺ? Lincolnwood park each Thursday from 1-2pm through August 8. 6800(5&21&(576(5,(623(1,1*1,*+7 Weekly Thursday night concerts feature live music, inďŹ&#x201A;atables for kids, and face painting, all beginning at 7pm. 6800(5'$<&$03%(*,16 Summers are so much fun at Lincolnwood Summer Day Camp with games, crafts, swimming and ďŹ eld trips. Session II begins July 16. Ĺ?3+* !."1(Ĺ? way to celebrate July 4. The Aquatic Center is also open from 10am-7pm. /,1&2/1:22')(6723(1,1*'$< Live music, carnival rides, food and more in Proesel Park through July 29. The fun starts at 5pm on opening day. 029,(1,*+7,1352(6(/3$5. Join us at 8pm in Proesel Park for a free ďŹ lm on the big screen featuring 0$!Ĺ? )Ä?Ĺ?Ä&#x2020;Ä?Ä&#x192;Ä&#x20AC;ÄĄÄ&#x2021;Ä?Ä&#x192;Ä&#x20AC;,) ,! *Ĺ?3%)Ä?Ĺ?Ä&#x2021;Ä?Ä&#x192;Ä&#x20AC;ÄĄÄ&#x160;,) Lap Swim & Swim Team: 6-9am Adult Swim & Programs: 11am-12pm ,! *Ĺ?3%)Ä?Ĺ?Ä Ä&#x201A;ÄĄÄ&#x2020;Ä?Ä&#x192;Ä&#x20AC;,) 3%)Ĺ?! )%(5Ĺ? 1/%Ĺ?+*!Ä&#x2039;Ĺ? Location: Lincolnwood Community Center Day 1!/Ĺ? PARENTâ&#x20AC;&#x2122;S NIGHT OUT Ages: 5-11 years In need of a parentâ&#x20AC;&#x2122;s night without the kids, look no further than the Community Center! Children will be able to play indoor games, create a small craft, enjoy a pizza dinner and round out the night with a movie. It sounds like so much fun you may even wish you could attend yourself! Whether you go out to dinner or just take the evening to yourself at home, the night is yours when you register the children for this Thursday night event. Location: Lincolnwood Community Center Day $1./Ĺ? !Ĺ? a performer, (i.e. stage presence, memorization, gesture, voice, character and improvisation). Students will be asked to create characters, dialogue, and situations, which they will use while performing for their class mates. Location: Proesel Park Tent near the Aquatic Center Age Ä&#x2026;ÄĄÄ&#x2021;Ĺ? Ä&#x2026;ÄĄÄ&#x2021;Ĺ? Ä&#x2C6;ÄĄÄ Ä&#x20AC;Ĺ? Ä&#x2C6;ÄĄÄ Ä&#x20AC;Ĺ? Day ! ! ! ! Time Ä&#x2021;ÄĄÄ&#x2021;Ä?Ä&#x2026;Ä&#x2020;,)Ĺ? Ä&#x2021;ÄĄÄ&#x2021;Ä?Ä&#x2026;Ä&#x2020;,)Ĺ? Ä&#x2021;Ä?Ä&#x2026;Ä&#x2020;ÄĄÄ&#x2C6;Ä?Ä&#x192;Ä&#x20AC;,)Ĺ? Ä&#x2021;Ä?Ä&#x2026;Ä&#x2020;ÄĄÄ&#x2C6;Ä?Ä&#x192;Ä&#x20AC;,)Ĺ? Dates Ä&#x2021;ÄĽÄ Ä&#x201A;ÄĄÄ&#x2C6;ÄĽÄ Ä&#x2C6;Ĺ? Ä&#x2C6;ÄĽÄ&#x201A;Ä&#x2026;ÄĄÄ&#x2030;ÄĽÄ&#x201A;Ä&#x2030;Ĺ? Ä&#x2021;ÄĽÄ Ä&#x201A;ÄĄÄ&#x2C6;ÄĽÄ Ä&#x2C6;Ĺ? Ä&#x2C6;ÄĽÄ&#x201A;Ä&#x2026;ÄĄÄ&#x2030;ÄĽÄ&#x201A;Ä&#x2030;Ĺ? Code Ä&#x201A;Ä&#x20AC;Ä Ä&#x192;Ä&#x2020;Ä&#x20AC;Ä&#x2039;Ĺ? Ä&#x201A;Ä&#x20AC;Ä Ä&#x192;Ä&#x2020;Ä&#x20AC;Ä&#x2039;Ĺ? Ä&#x201A;Ä&#x20AC;Ä Ä&#x192;Ä&#x2020;Ä&#x20AC;Ä&#x2039;Ĺ? Ä&#x201A;Ä&#x20AC;Ä Ä&#x192;Ä&#x2020;Ä&#x20AC;Ä&#x2039;Ĺ? SPACE ADVENTURE Ages: 5-9 years Join us as we adventure into the great beyond of space and back! We will learn about the different planets and create our own space themed crafts. We will be making moon sand, our own planet to take home and even an alien mask. Location: Community Center Day ! Ĺ? LINCOLNWOOD INTERNATIONAL SOCCER ACADEMY SUMMER CAMP Fee: R$145/NR$181 Letâ&#x20AC;&#x2122;s get your kids â&#x20AC;&#x153;soccer fitâ&#x20AC;? this summer! This summer camp is designed for players at all levels, from beginner to advanced. All participants will be evaluated on skills and age to form camp groups. Our professional coaches will make sure players of all ages and abilities can get the most +10Ĺ?+"Ĺ?0$!%.Ĺ? ),Ĺ?!4,!.%! *!Ä&#x2039;Ĺ?+1.Ĺ? '% /Ĺ?3%((Ĺ? 1#Ĺ?Ä Ä&#x201A;ÄĄÄ Ä&#x2021;Ĺ? 1#Ĺ?Ä Ä&#x201A;ÄĄÄ Ä&#x2021;Ĺ? homework help, arts & crafts, athletics, & more! Customized to Fit your Schedule! Club Kid provides fun, organized activities for Todd Hall and Rutledge Hall students after school. This well-rounded program features homework help, arts and crafts, athletics, and more. Club Kid follows the School District 74 calendar. Flex days are also available. '%*#Ĺ?+1.Ĺ? group to the hot spots for fun. Registrants will join our Adventure Camp on their day trip to four the offered days. Registrants do not need to be a part of camp to attend; these trips are offered to the general public. Sign up with a group of friends or meet new buddies on the trip, the day is yours! !Ĺ? awarded to the first and second place teams. The minimum number of teams must be met by April 26, 2019. PAYOUTS AWARDED TO THE 1st & 2nd PLACE TEAMS! THURSDAY NIGHT MENâ&#x20AC;&#x2122;S 3 ON 3 BASKETBALL LEAGUE Ages: 18+ !#%/0!.Ĺ?"+.Ĺ?/1))!.Ĺ?Ä&#x192;Ĺ?+*Ĺ?Ä&#x192;Ĺ? 5)!*0Ĺ? is due at the time of registration. A payout will be awarded to the first place team. The minimum number of teams must be met by June 21 at 5pm. Location: Proesel Park Day $1Ĺ? 0Ĺ? (! * Ĺ? upbeat world rhythms with easy-to-follow choreography, for a total-body workout that feels like a celebration. So popular and effective in bringing healthy change, Zumba is now offered in 180 countries worldwide. Our Zumba Plus Strength Class includes feel great Zumba routines, party .$50$)/Ĺ?,(1/Ĺ?Ä&#x192;Ä&#x20AC;Ĺ?)%*10!/Ĺ?+"Ĺ?/0.!*#0$Ĺ? * Ĺ? +.!Ĺ?3+.'Ä&#x2039;Ĺ?$%/Ĺ?Ä&#x2C6;Ä&#x2020;Ĺ? minute workout is one smart way to start your week. Location: Lincolnwood Community Center SESSION 1 Day 1*Ĺ? ZUMBA PLUS TONING Ages: 16+ years Shake, shake, and shrink in this one hour class that features both Zumba and Zumba Toning. Dance to world rhythms to burn calories, boost energy, and set your body free. Then pick up your toning sticks or light hand weights for some serious body-sculpting to red-hot rhythms. Light hand weights available in class. Location: Lincolnwood Community Center SESSION 1 Day ! Ĺ? ((Ĺ? geared to create harmony within the mind, body and spirit. It promotes healthy internal organ functions and smooth energy circulation within all systems of the body. Peace Yoga movements are designed to stretch and tone muscles, loosen stiff joints, help correct poor posture, improve balance and leave you feeling agile and refreshed. Location: Lincolnwood Community Center SESSION 1 Day +*Ĺ? SESSION 2 Dates Ä&#x2021;ÄĽÄ&#x2020;ÄĄÄ&#x2C6;ÄĽÄ Ä&#x20AC;Ĺ? SESSION 2 Day ! Ĺ? POOL SIDE YOGA at the Aquatic Center See page 17.
then... WE NEED YOU! Call us at 847-677-9740 to share your idea. Ä&#x152;Ĺ?)!.!*#1!Ĺ? and more! Grab your dancing shoes and dance the night away! No registration required. Pay a drop-in fee at the door. (0$5Ĺ? and independent, the National Institutes of Health (NIH) .! +))! * /Ĺ? "+1.Ĺ? 05,!/Ĺ? +"Ĺ? !4!. %/!Ä&#x2039;Ĺ? 0.!*#0$Ĺ? !4!. %/!/Ĺ? build muscle and increase metabolism which helps keep 3!%#$0Ĺ? 1%( Ĺ? leg muscles which help prevent falls. Stretching gives you )+.!Ĺ? ".!! +)Ĺ? +"Ĺ? )+2!)!*0/Ĺ? * Ĺ? ! * 1. Arthur M. Goebelt Park 6621 Kilbourn Ave.
Centennial Park 6801 McCormick Blvd. Drake Park 6750 Drake Ave.
M. Lester Flowers Park 4520 W. Pratt Ave. Richard R. Rossi Park 7025 Keystone Ave. Springﬁeld Park 3901 Arthur Ave. Valley Line Trail Devon Ave. & Jarvis Ave. Union Paciﬁc Trail Corridor between Devon & Touhy Ave.
Columbia Park 3745 Columbia Ave.
Kildare Park 7245 Kildare Ave.
Charles L. O’Brien Park 7260 East Prairie Rd. Kenneth Park 7255 Kenneth Ave.
Central Park 6451 Central Park Ave.
G.G. Rowell Park 6555 Albion Ave. Henry A. Proesel Park 7030 N. Lincoln Ave.
All park hours are 6 am - 9 pm (except for Proesel Park, which is open from 6 am - 11 pm). Smoking, Alcoholic beverages, smoking, and illegal drugs are prohibited Overnight parking is not allowed at Centennial Park or Proesel Park. Pets are not allowed in the parks (except for Centennial Park and walking paths). Dogs must be kept on leash at all times. Bicycles must remain on a paved vehicular road or path designated for this purpose. Proesel Park Shelter, soccer areas, and ball ﬁeld permits are available through the Parks and Recreation Department. To report suspicious activity or vandalism in the park, please dial 911. !./Ĺ? .! !%2!Ĺ? %/+1*0! Ĺ? "!!/Ĺ? +*Ĺ? ,.+#. )/Ĺ? and are allowed participation in â&#x20AC;&#x153;member onlyâ&#x20AC;? events and classes throughout the year. If you arenâ&#x20AC;&#x2122;t already a member, please consider joining today or share with a friend or relative who is 55 years or better. Our Social Club newsletter lists all of the activities, day trips and Special Interest Clubs. The newsletter is mailed to all Social Club members and is also available online at www. recreation.lwd.org. Please call (847) 677-9740 to receive a copy of the most current publication. SPECIAL INTEREST CLUBS Participation is not limited to Social Club members. Anyone interested can pay daily dues to participate. Here are some of the ongoing Special Interest Clubs: Mah Jongg (Year â&#x20AC;&#x2DC;Round) â&#x20AC;&#x201C; Mah Jongg Club meets every $1./ 5Ĺ? ".+)Ĺ?Ä Ä&#x201A;Ä?Ä&#x192;Ä&#x20AC;ÄĄÄ&#x192;,)Ĺ? 0%+*/$%,Ĺ?Ĺ?Ä¤Ä¤Ä¤Ä¤Ä¤Ä¤Ä¤Ä¤Ä¤Ä¤Ä¤Ä¤ E-Mail AddressĹ?Ä¤Ä¤Ä¤Ä¤Ä¤Ä¤Ä¤Ä¤Ä¤Ä¤Ä¤Ä¤Ä¤Ä¤Ä¤Ä¤Ä¤Ä¤Ä¤Ä¤Ä¤Ä¤Ä¤Ä¤Ä¤Ä¤Ä¤Ä¤Ä¤Ä¤Ä¤Ä¤Ä¤Ä¤Ä¤Ä¤Ä¤Ä¤Ä¤Ä¤Ä¤Ä¤Ä¤Ä¤Ä¤Ä¤Ä¤Ä¤Ä¤Ä¤Ä¤Ä¤Ä¤Ä¤Ä¤Ä¤Ä¤Ä¤Ä¤Ä¤Ä¤Ä¤Ä¤Ä¤Ä¤Ä¤Ä¤Ä¤Ä¤Ä¤Ä¤Ä¤Ä¤Ä¤Ä¤Ä¤Ä¤Ä¤Ä¤Ä¤Ä¤Ä¤Ä¤Ä¤Ä¤ Does the participant require any assistance or special accommodation to effectively participate and/or enjoy the program? Yes No If you checked yes, a member of our staff will contact you to make the necessary arrangements. 5Ĺ? .! %0Ĺ?. Ĺ? 0Ĺ?0$!Ĺ? facsimile registration documents (including the waiver and release of all claims) shall substitute for and have the same legal effects as the original form. 	Ĺ?Ĺ? Ĺ?Ĺ?Ĺ?Ĺ?.+!//! Ĺ? 0%+*Ĺ?!4,!.%! *!/Ä&#x2039;Ĺ?Ĺ? "Ĺ? you are not completely satisďŹ ed with a program or service, please contact us as soon as possible. RENTALS, BIRTHDAY PARTIES, ATHLETIC AND PICNIC PERMITS If a rental is cancelled three weeks before the scheduled date, a full refund less a 10% administrative fee will be issued. If a date is cancelled 20 days or less before the scheduled date a 50% refund less a 10% administrative fee will be issued. General refunds will be granted when requested ďŹ ve full working days before the start of a program. All refunds are subject to a 10% administrative fee and will be mailed in the form of a check within 4-6 weeks of your request. Charges cannot be reversed on credit cards. WHAT HAPPENS ONCE A PROGRAM HAS STARTED? We do understand that there may be a time when the program you registered for didnâ&#x20AC;&#x2122;t match your needs. If that is the case, we encourage you to share your comments, ideas or suggestions for improvement as soon as possible. If we are unable to work through it together we will refund you for the classes not attended less a 10% administrative fee. IN THE CASE OF AN ILLNESS, EMERGENCY OR RELOCATION Should you need to discontinue participation in a program due to an illness, emergency or relocation, we ask that you submit proof of .! (+0%+*Ĺ?+.Ĺ? *Ä&#x2039;Ĺ?Ĺ?,+*Ĺ? receipt we will refund you for the classes not attended less a 10% administrative fee. BROCHURE ERRORS Due to the large amount of information included in each seasonal brochure, errors may occur. There may be last minutes changes in days and times of classes, registration requirements and fees once the brochure has going to print. You will be advised in a timely manner of any changes. We thank you for your patience and understanding. PHOTO POLICY Photographs and videos are periodically taken of participants while they are engaged in programs, special events or enjoying the parks. Please be aware that these photos and videos may appear in local newspapers, Village publications, cable access program or on the Village website. LINCOLNWOOD INTERNATIONAL SOCCER ACADEMY No refunds will be issued after the ďŹ rst day of soccer camp. DEPARTMENT CANCELLATION In the event a program does not reach minimum enrollment and the class is cancelled by the department a full refund will be issued. The administrative fee does not apply in these instances. SCHOLARSHIP/FINANCIAL ASSISTANCE PROGRAM This program is designed to provide ďŹ nancial assistance/scholarship to residents of Lincolnwood in order to support participation in the Lincolnwood Parks and Recreation Department program. The deadline to request ďŹ nancial assistance for 2018 summer programs is April 26, 2019. Please contact the Parks and Recreation Department for more information. *Ĺ? uninterrupted 15-second blast and a strobe light will ďŹ&#x201A;ash when there is the potential for a lightning strike within the coverage area. What QualiďŹ es as Appropriate Shelter Ä&#x2018;Ĺ?Ĺ?Ĺ? */% !Ĺ?
. ÄĄ0+,Ĺ?2!$%(!/Ĺ?+.Ĺ?+0$!.Ĺ? lightning protected facilities and amenities Ä&#x2018;Ĺ?Ĺ?Ĺ?/Ĺ? 0Ĺ?%/Ĺ? !0! 0! Ä&#x152;Ĺ?0$!Ĺ?/5/0!)Ĺ? continuously updates data about energy in the air 50 times per second to see if the atmosphere still retains the potential energy necessary for a lightning strike. Ĺ?3%. !/ÄĽ power lines, water, elevated ground, metal, maintenance machinery,wire fences, open top or soft top vehicles and a temporary tent structure. * ÄĽ+.Ĺ? seeing the strobe light, park users must leave the park and seek appropriate shelter. 0Ĺ? your site, but at a site within ear shot. If you hear the alarm, please leave the park immediately. If you have any questions, comments or concerns regarding the Thor Guard Lightning Detection System, please call the Lincolnwood Parks and Recreation Department at (847) 677-9740. 0Ĺ?0$!Ĺ?  facsimile registration documents (including the waiver and release of all claims) shall substitute for and have the same legal effects as the original form. AQUATIC CENTER RULES In order to provide a safe and enjoyable pool experience for everyone, the following general rules must be followed: Ä Ä&#x2039;Ĺ? Ĺ? Ĺ? Ĺ?Ĺ? Ĺ? 	Ĺ?Ĺ?  ALL TIMES. 2. Children 12 years or under must be under constant supervision of an adult 16 years or older. Ä&#x192;Ä&#x2039;Ĺ? Ĺ?$%( .! *Ĺ?1* !.Ĺ? 0Ĺ?0$!Ĺ? pool is open. 9. All glass is prohibited as mandated by Illinois Health Code. Ä Ä&#x20AC;Ä&#x2039;Ĺ? Ĺ?++ Ĺ? !Ĺ? packed in lunch-size coolers and are allowed in the concession area only. Bulk commercially packaged food and beverages, either brought or delivered, are not permitted in the facility. 11. All persons entering the pool must shower as mandated by Illinois Health Code. 12. Street shoes are not allowed in the pool area at any time. Ä Ä&#x192;Ä&#x2039;Ĺ? +Ĺ?/)+'%*#Ĺ?+.Ĺ? %(%05Ĺ?+.Ĺ?Ĺ?Ĺ?Ĺ? the park. 14. Offensive language and inappropriate behavior is prohibited. 15. No eating or drinking allowed on the pool deck as mandated by Illinois Health Code. 16. No running or ball playing allowed on the pool deck. 17. Dunking or other dangerous conduct is prohibited.
. Ĺ? approved are allowed only in the fenced childrenâ&#x20AC;&#x2122;s pool and zerodepth area of the activity pool. No ďŹ&#x201A;otation !2%!/Ĺ? 0!Ĺ? pool rentals. One set of pool rules must be signed and kept on ďŹ le for each individual and/or family that has a current pool membership. DIVING BOARD RULES 1. %0! Ä&#x2039; FENCED CHILDRENS POOL RULES 1. All children who are not toilet trained must wear tight ďŹ tting rubber or plastic pants over a swim diaper. Disposable diapers are not permitted as mandated by the Department of Public Health. 2. No changing diapers on the deck. Ä&#x192;Ä&#x2039;Ĺ? +Ĺ? "++ Ĺ?+.Ĺ? .%*'/Ĺ?%*Ĺ?0$!Ĺ?!*! Ĺ?$%( .!*/Ĺ?++(Ĺ? Ä&#x2039; 4. No running on the pool deck. Ä&#x2020;Ä&#x2039;Ĺ?  Ĺ? !*! Ĺ?$%( .!*/Ĺ?++(Ĺ?"+.Ĺ?1/!Ĺ? 5Ĺ? $%( .! *Ĺ?1* !.Ĺ?/!2!*Ĺ? years of age. 6. Children must be supervised by an adult 18 years and +( !.Ĺ?3$%(!Ĺ?%*Ĺ?0$!Ĺ?!*! Ĺ?$%( .!*/Ĺ?,++(Ä&#x2039;Ĺ? 7. Parents/caregivers must assist their child out of the pool during safety breaks. %(%0%!/Ä&#x2039;Ĺ?((Ĺ?!*"+. !)!*0Ĺ? and general translations of the rules for the pool are subject to management discretion. All members entering the pool may use a state issued ID twice if they forget their pool ID before purchasing a new pool ID for $10. WE’RE HIRING! SPEND YOUR SUMMER MAKING MEMORIES AS A PART OF THE LINCOLNWOOD DAY CAMP OR PROESEL PARK FAMILY AQUATIC CENTER TEAM! The Parks & Recreation Department is looking for enthusiastic students and adults with a passion for serving the community. Visit lincolnwoodil.org/employment to learn more about the available positions and apply online. SPONSORSHIP SPONSORSHIP OPPORTUNITIES Is your business or organization looking for a great way to connect with the public while supporting your community? Statistics show that over 59% of consumers are more likely to buy a product associated with a non-proﬁt partnership. When you sponsor a local event, your business or organization will receive publicity, name recognition and the satisfaction of supporting the people in your community. We’d love to work with you to support one or more of our annual events! ADVERTISING Advertising in the Lincolnwood Parks and Recreation ,.+#.